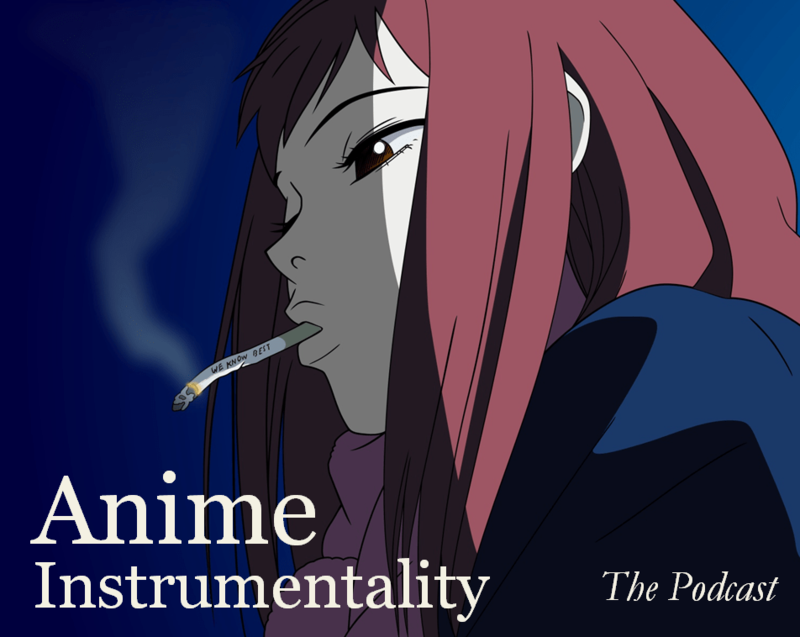 Given that this is the 10th episode of Anime Music on the AIRS, I wanted to take a different path and chronicle the major pieces that really turned me into an anime music fan. With that comes an episode with a lot of selections that are more off the beaten path than usual, but the music (at least, in my opinion) is absolutely terrific. Given that there’s a lot more music that shapes my journey, this will be a two-part episode, so enjoy part 1, which takes you all the way up to 2006. For those of you who are experiencing some YouTube video blockage, check the links or the stream posted below. Hopefully there’s a lot for you all to discover, but more importantly, enjoy! Part 2 will come once we hit Episode 20. Until then, Episode 11 will focus on piano music. If you have any suggestions/requests, let us know in the comments below! Don’t forget “Go where no one’s gone before” by Billy Preston, OP to the 2003 anime Licensed by Royalty. Yup, but key words being the first one I’ve heard (did phrase it very carefully) so thanks for tossing that my way! Suggestions? Well, you know, it’s our favourite Yoko Kanno, Joe Hisaishi, Taku Iwasaki… Incredible powerful piano pieces they have. So “must add” at least one of compositions by every of them. Maybe one by Shinji Orito. Thanks for the requests! There’ll definitely be some from each of those except Joe Hisaishi, but only because his stuff seems very YouTube-unfriendly. But yes, good music will forever be good music and I’m glad you enjoyed those selections. Hinata Inn’s Theme is so pretty and chirpy! I love it! If you ever get a chance to check out the rest of the soundtrack, it’s pretty good. A rare orchestral soundtrack with a lot of fun pieces, especially considering it’s for a harem anime! Looks like people already mentioned the staples (Yoko Kanno, Joe Hisaishi, etc.) I would add a piece from Tenmon to that list (very hard to choose just one). Clannad/Afterstory have some nice pieces, and the main themes for Angel Beats are rather pretty. Otherwise I would suggest the following (although some of them might not be purely piano). I like the different themes that have been explored so far. One style you might want to add to your list would be marches. I listened to that episode while walking among the autumn leaves in the forest near home last week, and it was just the perfect setting for enjoying both that Love Hina piece and Rurouni Kenshin’s theme! Damn it, those works were stellar! Love Hina really was the first anime I watched back in high school, thanks to a friend’s recommendation, and while I had enjoyed it I hadn’t thought about it in years. At that time I hadn’t paid a lot of attention to the music, too, hence my surprise in hearing that show again in such a good way. Rurouni Kenshin’s, just wow. This I never watched, although I keep hearing much good about it. As usual, thanks for putting those shows together, they’re a great way of discovering hidden gems I would never have hear otherwise! I think that’s been the emerging purpose behind these radio shows in that it can bring to light some really excellent music that might have otherwise slipped under the radar. Good to be able to bring back the memories of shows long past and be surprised at how well their music has aged! I just listened to the full Love Hina OST and really liked it! I think Love Hina is one of those shows that have aged poorly even if it was revolutionary for its time. I’m torn between giving it a nostalgia watch or just letting my feelings of that show simmer through its soundtrack. I guess with my tight schedule, it’ll have to be the latter…. for now! your selectection of song was great. It looks like I will have to re-listen to love hina soundtrack, as it did not catch my ear the first time I watched the show. Also, did you know that Ginslinger Girls Thema A was originally not an anime piece ? I was in vacations and went to a small chapel to listen to two artists (harp and violin). I was super surprised when I heard Thema A from that violin player, that only played classical song. Guess it must be some sort of classic song too, but I have no idea which one. It wouldn’t be the first time that Toshihiko Sahashi has appropriated a piece from the classical canon though it’s usually much more recognizable than TEMA I’s melody. I am curious if someone can point out as to what piece that might be.